Have you ever encountered any problem with your iPhone videos? I believe the answer of most of us is yes. iPhone starts to support shooting 4K videos from iPhone 6S. This kind of high definition video is a feast to the eyes but eats up lots of storage space and always takes tons of time to upload to videos sites. In addition, if you are using iPhone 7S to take 4K videos in HEVC codec, there is a great possibility that the videos cannot be recognized by some player or computer due to the codec incompatibility. 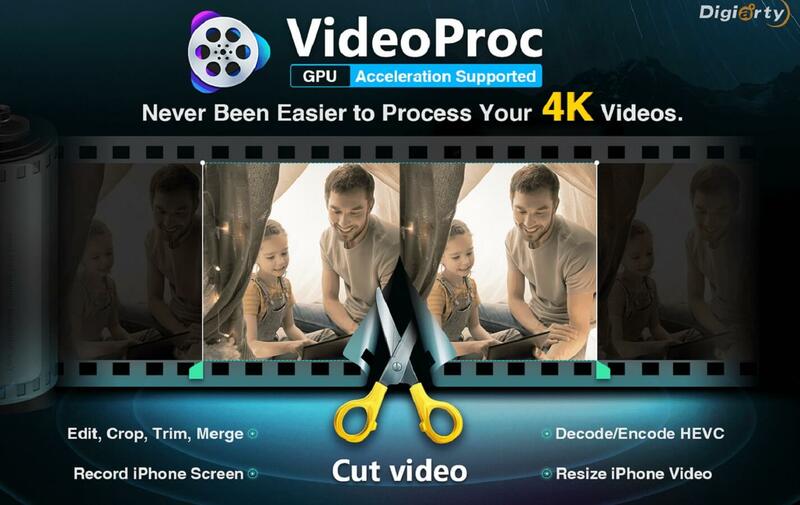 VideoProc is a powerful video processing tool that accelerated by GPU. And this tool is strongly recommended to process the videos on iPhone for its excellent performance and simpleness. So what is GPU acceleration? This tech allocates those CPU-consuming video tasks to the powerful GPU to boost video processing speed while reducing the pressure of the computer CPU. 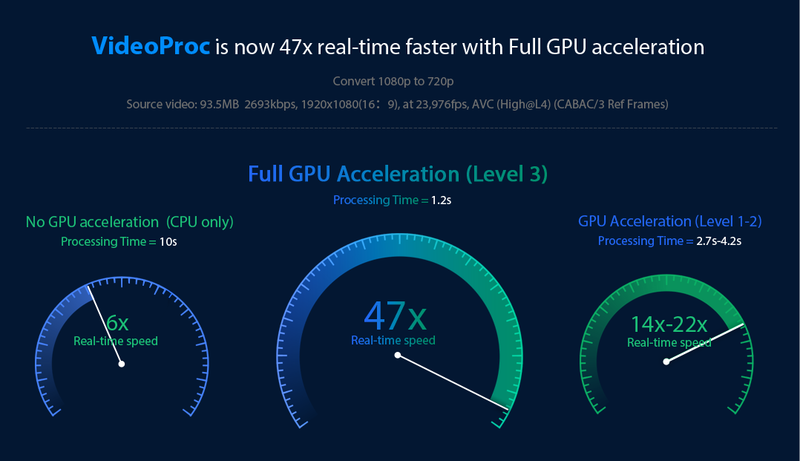 VideoProc takes the most of this tech by upgrading it to a higher level, the Level-3 hardware acceleration. That means VideoProc utilize this tech in video decoding, video processing, and video encoding, making the video processing speed up to 47x faster with no quality loss. Once you have the video loaded, VideoProc offers you a huge collection of video and audio output formats and codec for your choice. You can select the formats freely in the format library. If you have no idea of what format you should choose, VideoProc is very considerate to let you make the decision according to the module of your iPhone, Android, iPad, tablets, TV and even PSP devices. As mentioned above, the codec conflict problem of the iPhone videos in HEVC codec is quite annoying. VideoProc is here to solve your problem by transcoding the HEVC codec to the H.264 codec which is the mainstream video codec. In order to fast transfer your iPhone videos to the computer before processing with VideoProc, you can take advantage of this iPhone data manager. For people who always spend lots of time uploading their bulky iPhone videos to YouTube, Facebook, VideoProc assists to compress the video size by adjusting video resolution, bit rate, frame rate and other parameters or convert the iPhone videos encoded in the old H.264 codec to the new HEVC codec which has up to 50% better compression rate. If you find it is not easy to edit the videos on iPhone’s small screen, you can edit the video clip with the assist of VideoProc, such as cut, crop, merge, rotate, flip videos, apply filters on videos, etc. Advanced video edit features are also included in this program. You can stabilize the video image, eliminate background noise, capture images from videos, create animated GIFs, correct fisheye distortions, force audio, and video synchronization, add watermark on videos, adjust video images and audio parameters, speed up or slow down the video clip from 0.1 to 16x, etc. 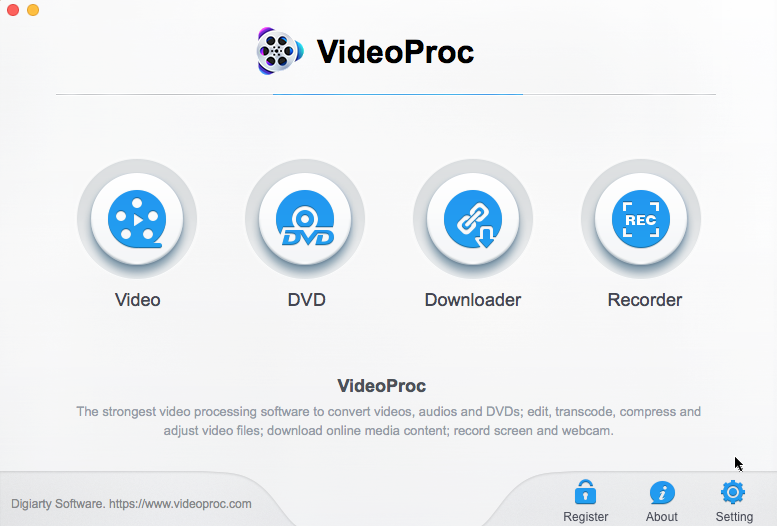 VideoProc also allows you to convert DVDs into videos that can be played back on your portable media devices anywhere anytime or shared with your friends. It even supports to rip those encrypted DVDs. What’s better, the application includes the function of the video downloader. Just copy and paste the video URL, VideoProc then makes it possible to download 4K, HD videos from YouTube, Vimeo, Facebook, Instagram, and another 1000 sites. The last bonus is the inbuilt video recorder which allows to record the computer screen, tutorials videos, live video, game walkthroughs. VideoProc for Mac even supports to record the iPhone screen to avoid the annoying red bar of the iPhone video recorder. 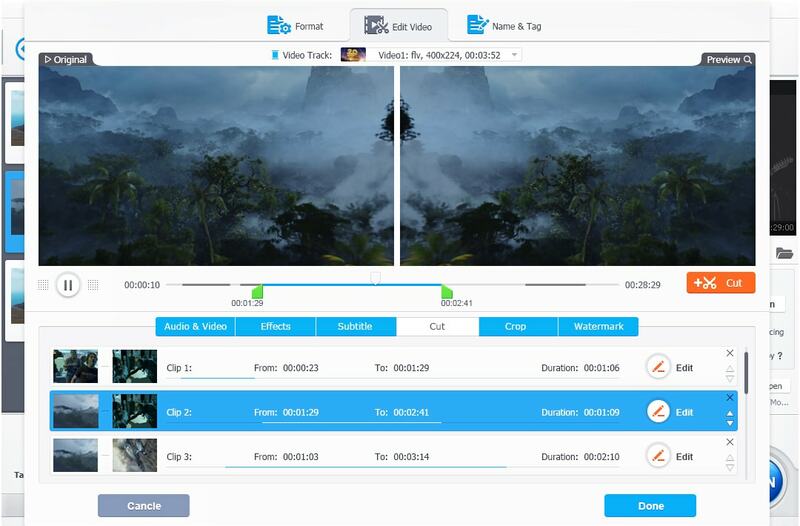 VideoProc is highly recommended to process videos for its powerful and versatile features, ease of use and the unparalleled fast processing speed. In celebration of the release of VideoProc, a great giveaway and sweepstakes contest are held. Now visit this iPhone video processing page, all the participants have the chances to free get VideoProc license key (2000 free copies/day), iPhone XS, AirPods and iPhone cable. Why not try your luck?